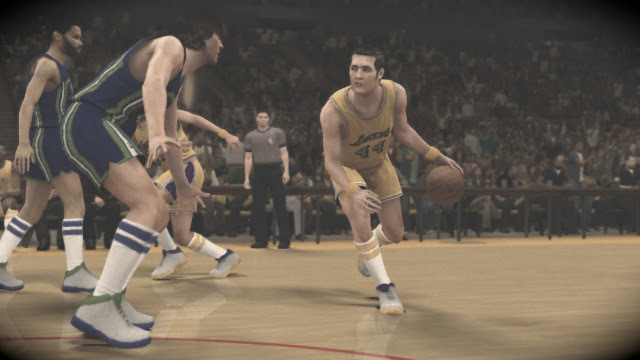 Recently, MashButtons was invited to attend a developer call regarding NBA 2K12 with the producer Erick Boenisch and senior gameplay designer Mike Wang. On this call we were able to get some additional information about some of the upcoming features, gameplay changes, and some other general information. The NBA's greatest may be my biggest selling point for this title as you may not have the Jordan challenges, but get 50% more games going through the NBA greatest challenges. Aside from playing through historical games with 15 of the greatests of all times, the visuals and cameras follow the era to make the games feel more authentic. Shot compositing is the second biggest feature I am looking forward to as it mixes and matches thousands of shot animations when you set up your player to customize shooting animations for the top and bottom half of the body. From the sounds of it, 2K12 could easily surpass 2K11 and that alone is a feat in itself.